Believe it or not, regular eye exams do more for you than just update your glasses prescription; they are tools that help to diagnose other health conditions. How Do You Define Regular Eye Care? 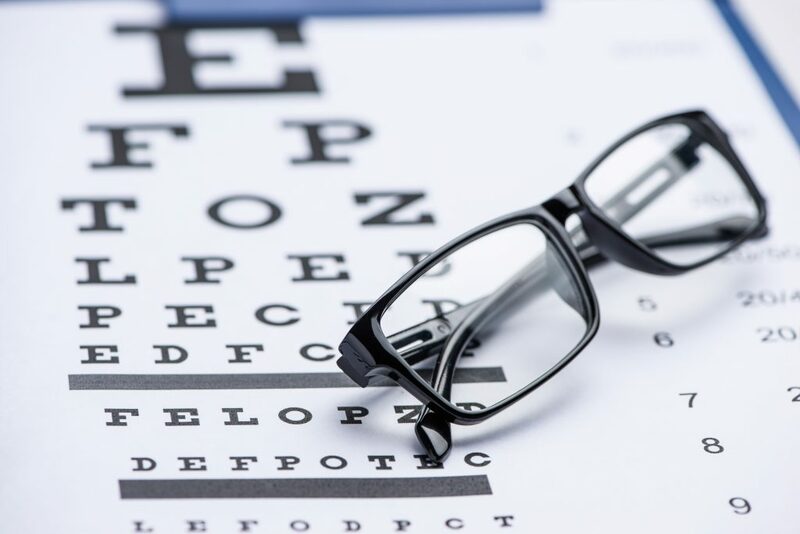 The recommended frequency of eye exams will vary depending on who you ask and what state you’re in, but for the most part, adults in good overall health should get an exam every two years. Eyeglass prescriptions are generally dated to last this length of time and signify that your eye health should remain stable until your next check up. However, if you have a preexisting eye condition, like glaucoma or cataracts, or you are diabetic, you’re looking at a more frequent rate of exams as recommended by your doctor. Children should also be seen more often; most schools will offer a vision screening test, but this does not take the place of regular and comprehensive care for their growing eyes. Why is there a distinction between a screening and an exam? Think of a screening as a very brief look at your eyes, one that can only let you know if you should receive further testing. Conversely, a comprehensive exam, one in which your provider checks your color vision, depth perception, and eye pressure, will all help in prevention as well as determine your eyeglass prescription if needed. Aside from the obvious benefit of determining if you need eyeglasses or just updating your contact lens prescription, why would someone be inclined to get an eye exam every two years? For people who have perfect vision or those who don’t have health coverage, the immediacy of routine eye care might be completely lost. What most people don’t realize is that your eyes are like a gateway into your overall health. From one routine exam, an optometrist can detect high blood pressure, diabetes, or another more serious condition. Indicators like dryness or a simple red blood spot can go unnoticed in our daily lives, but mean something much more to eye doctors. While it can be temporarily inconvenient, it’s also recommended that your provider dilates your eyes as part of a comprehensive health check. This allows for a better view of the back of your eye and is key in the early detection of diseases. It’s not uncommon for a person to show up at their optometrist’s office for their routine exam, and for them to leave with a referral to an ophthalmologist or even an oncologist. One woman’s story illustrates how routine eye care can literally be a matter of life or death. When she noticed her vision changing, she visited her optometrist. Seeing a freckle, her provider referred her for additional testing, only to find out that she had ocular cancer. It presented itself with no concerning symptoms and she would’ve gone untreated if it weren’t for her check-up. What Exactly Might They Find? Eye exams don’t necessarily equate to locating other health issues, so don’t get too scared to see your doctor. Yet it’s important to be aware of what potential outcomes might occur if your optometrist does detect an underlying concern. One of the more common findings from a routine eye exam is that you have high blood pressure; the veins in the back of your eyes can be a red flag that something is abnormal in this department. Another more serious condition that’s detected in the eyes first? Multiple sclerosis. Again, by performing a comprehensive check and dilating your eyes to view your optic nerve, you can uncover what’s going on in the rest of your body without even noticing any symptoms. Naturally an eye exam will also let you know if there are any concerns with your overall eye health. Often times a comprehensive exam will uncover symptoms for common diseases like glaucoma, keratoconus, or blepharitis. Did you know that more than 3 million people in the United States suffer from glaucoma? This condition can eventually lead to blindness if not treated, as the pressure in your eye increases to the point of damaging your optic nerve. Problems with blurry vision can sometimes point to a condition called keratoconus, meaning your eye loses its round shape and instead takes on more of a cone type of structure. It can present itself as early as young childhood, and will require routine eye care particularly if you are a contact lens wearer. Sometimes the findings from your comprehensive exam lead to a treatable condition that isn’t necessarily related to your vision. If you suffer from oily skin and have noticed flaking around your eyelashes, you might have blepharitis. This is a very common occurrence and is yet another reason to keep up on your regular eye care. Vision exams include a number of different tests, including an evaluation of your near/farsightedness, astigmatism, tests for glaucoma, and a full examination of the interiors of your eyes. Eye exams are recommended every one to two years. However, if you have risk factors such as a family history of eye disease, more frequent eye exams are recommended. The average out-of-pocket cost of an eye exam is $85. The pricing depends on location and optometrist; for example, the average cost of a dilated eye exam in Wisconsin is $64, whereas Seattle, WA’s is $150. With SingleCare, you can save up to 75% off your vision needs. Pay as little as $52 on an eye exam. Book your next eye exam today!